i know I said I was back to blogging... but then a long (but great) tour with Paramore, New Found Glory, and Kadawatha got in the way! Anyway, here's a shot from that tour. Any guesses on which venue this is from? Ok no it's not Vegas, and it was taken minutes after another shot I've already posted but I think this may be my favorite shot I've ever taken? Maybe? I even caught a bird in flight so that's good right? Anyway, I love the clouds, they were incredible. No it's not Chicago but it is another fun town. I hadn't been back since I lived here four years ago. So great to visit old friends and old home towns. I also like the gold pin striping on the bus matching the glow of the buildings. I don't think I am done with my odd rants and all, but I do seem to spend less time writing them down and talking them out like I used to... therefore I think I am going to start just using my blog as a place to throw out a few photos from the road. Why not, what else am I going to do with them, leave them in iphoto to rot? Oh and I get bored of my photos so I tend to tweak them... sometimes a lot, sometimes not. Well here's the first of many I suppose. Actually maybe I'll leave out the locations so you can try and guess where each shot is taken from. Crap, this first one couldn't be more obvious. Have you seen that ridiculously cute commercial for Dawn soap, where they are washing penguins and otters and a few other cute critters? The they say that one dollar of your purchase will go towards "helping to save wildlife". Amazing I thought. 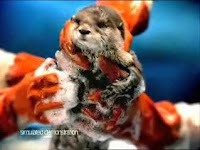 Really cute ad, help save the little animals, and get dishwashing soap for home. Simple. UNTIL i was about to purchase it and read the very elusive and evil word, CAN. Your purchase CAN help, but won't unless you go to our website and punch in the code of this container and fill out this and that and then maybe then, if you fill it out right, we will send one dollar to the wildlife. Who is actually going to go to their website and take the time to do all of that?! A SMALL FRACTION OF THE PEOPLE BUYING, that's for sure. I felt cheated, and therefore boycotted their product altogether. I still like the ad, but it kind of enrages me at the same time now. So cute! Stupid False Advertising! Awww, little ducky! Evil company! If anyone wants to send me money like 10 bucks or so, I CAN give two dollars to someone who needs it, if you pass a skill testing question that may not actually have an answer. And I choose who "needs it". Am I too generous? Been a while, but back in the saddle? I'm sorry it has been so long. Much has happened and I've neglected my blog. Sorry. Oh and I moved to Vancouver so that has been occupying my time of late. House Reno's are fun when you have the time. I no longer have the time, nor the money. No longer are house reno's fun. This comic is how I view the world. Maybe this should be the cover of my packing book? Is not, and does not consider himself to be a rock star. That's the joke. 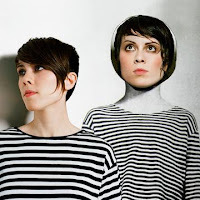 He currently lives in North Vancouver BC and plays bass for the band Tegan and Sara. Before this he lived in Nashville TN, and was in the band Starfield. Shaun has also lived in Montreal for a time, and LA, where he attended the Los Angeles Music Academy. Do you have a post-shower routine? When do you pack your bags for an upcoming tour?